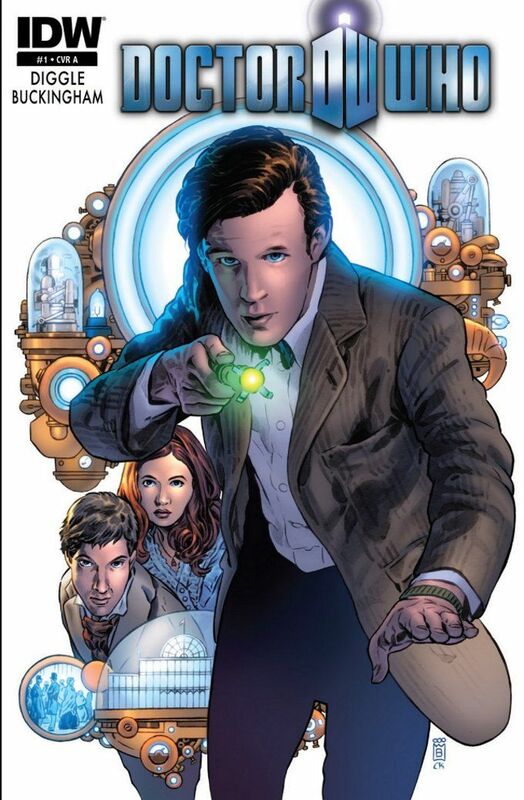 If IDW Publishing had set out to find the perfect creative team to bring me back to the Doctor Who comic, they could not have done a better job than selecting Andy Diggle and Mark Buckingham. Diggle, best known for his original series The Losers, has been a favorite of mine since his run on Hellblazer and the Green Arrow: Year One mini-series. Mark Buckingham, an Eisner Award winning artist with a list of credits longer than a gorilla's arm, is perhaps best known for his work on Fables. Two quality creators who deliver unto us a quality book. Diggle's script tackles a fairly standard Doctor Who trope (i.e. alien intervention/technology being mistaken for magic) but the presentation of the story is hardly standard. 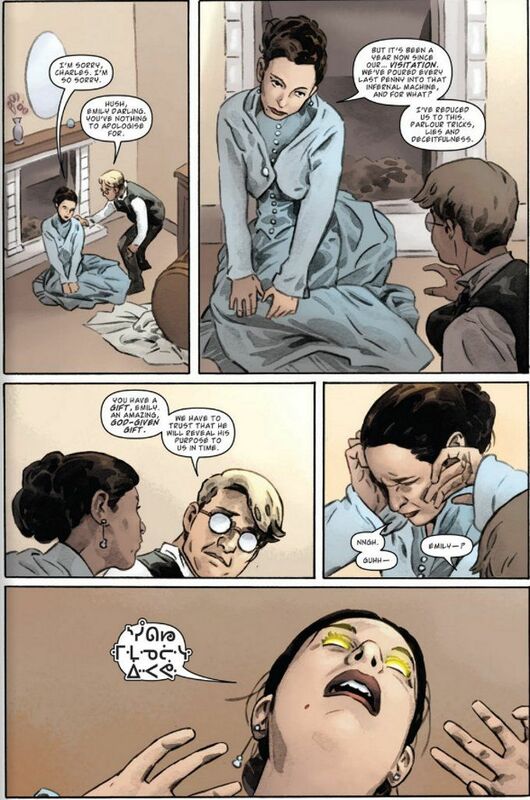 Emily and Charles are well established as sympathetic characters who dislike being dishonest but are unable to think of any other way to utilize Emily's gift as the pursue what they see as holy work. The regular cast is also well portrayed in their brief scenes together before the action starts. And I want to shake Mr. Diggle's hand and thank him for presenting Rory Williams properly, with all of his earthy wisdom intact and in all of his sarcastic glory. 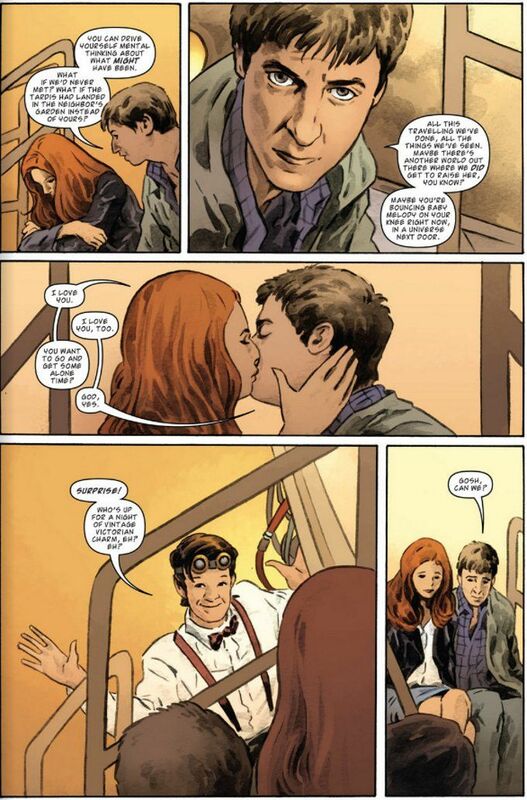 Buckingham's pencils are as strong as ever, though he does falter somewhat in depiction of The Doctor, Amy and Rory at some points. He does some phenomenal portrait-quality sketches (see the above scan of Rory, looking out at the reader) but this only serves to make his less-detailed far-shots (see The Doctor above) seem more off compared to the close-ups where he gets it right. It isn't bad - just odd. If you're a Doctor Who fan, you'll want to pick this book up. It's a must read for all Whovians.